You haven’t heard ‘Royals’ until you've heard it done with a piano accordion, a Korean beatboxer and a Wellington soul diva. Or ‘Love Love Love’ by a bohemian bordello band. Or The Chills’ ‘Heavenly Pop Hit’ with the full choir it was clearly always meant to have. 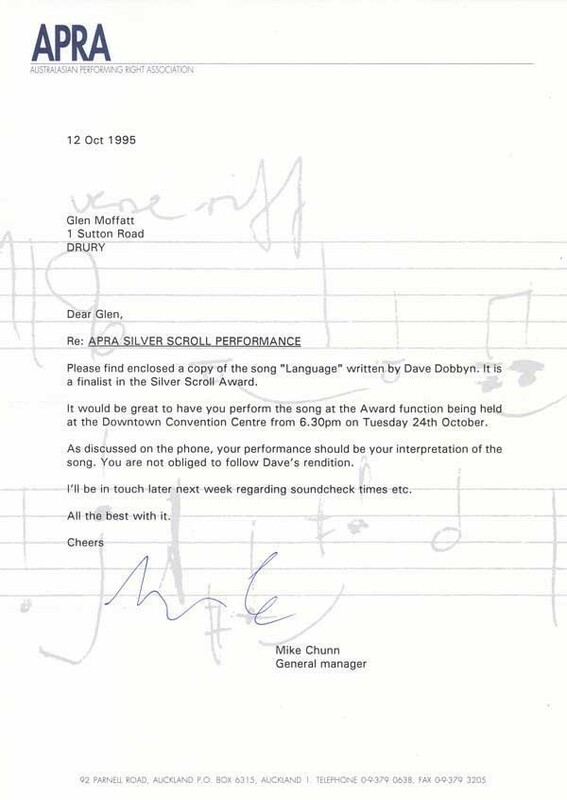 Glen Moffatt's letter from Mike Chunn regarding Glen's performance of Dave Dobbyn's 'Language' in 1995. The musical director that year (and until 2002) was Eddie Rayner. Mike Chunn did the job himself when he reinvented the awards in 1993, before handing it over to his former Split Enz bandmate Eddie Rayner, whose long run at the helm, until 2002, essentially defined the musical director’s role. And, says Chunn, kept the boss guessing. 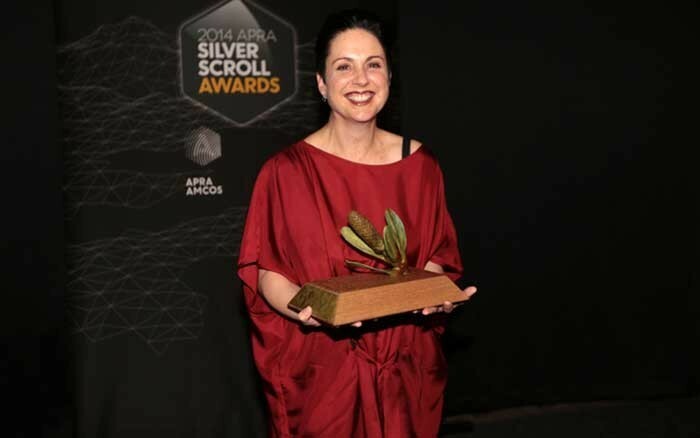 Victoria Kelly, who now works in member relations for APRA, took over from Rayner in 2003 and did the job until 2007, the last two years in partnership with Joost Langeveld. “I loved every year I was involved,” says Kelly. “I think the key is finding a really interesting perspective on the original song, so you can reveal how that song remains a brilliant song and remains fundamentally intact regardless of who performs it or how it’s arranged. 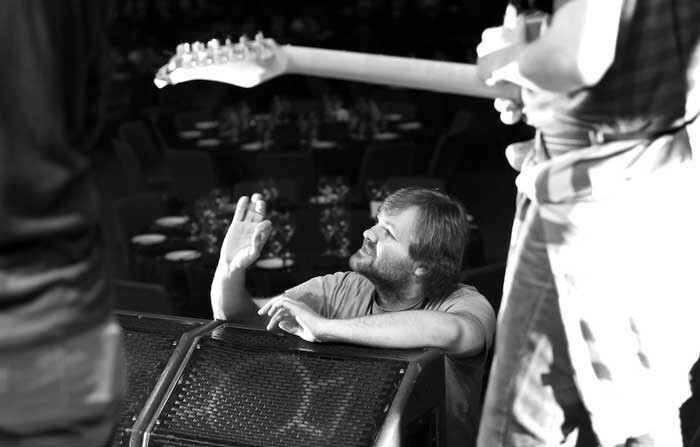 For Karl Steven (Supergroove, The Drab Doo-Riffs, Heart Attack Alley), musical director in 2010 and 2011, the most important thing was “really just having fun with it. And I guess unlikely pairings, both terms of song and performer and in terms of collaboration among performers. In 2015, the 50th anniversary year, the musical directors were Godfrey De Grut and Cherie Mathieson. It’s effectively a repeat of 2013, where, despite De Grut nominally having sole charge, the two, partners in life as well as song, worked together on ideas. “We each know how the other works, our strengths and weaknesses, and we vibe off each other. And we get to talk about it. Actually, all we do is talk about music,” says De Grut. The pair had an inkling they’d be asked back when the awards returned to Auckland in 2015, so have effectively been planning for 15 months. “You’ll be having a conversation about some song you heard on the radio and one of us will say ‘oh yes, that’d be a cool idea for the Scrolls!’ It’s been in our consciousness for such a long time,” says Mathieson. “Especially with a song as well known in that moment as ‘Royals’ was, it had to be different but still honour the song,” adds Mathieson. 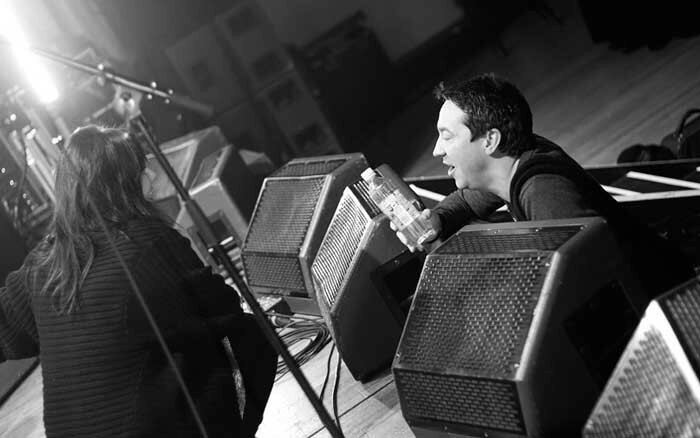 Getting the ideas to the stage for the big night is not always straightforward. “Musicians can be a bit like herding cats,” says Steven. “And particularly if you’re trying to find some unusual combinations and some acts that people haven't seen before, you get a very mixed bag. Some of them are extremely professional and eager, some of them are reluctant – and some have artistic temperaments, shall we say. And that can be a challenge. And meanwhile, the finalists themselves sit at their tables on the night and hear their own songs they might never have imagined them. Which isn’t to say it’s always an easy thing for the songwriters to hear. “One year I organised for Gareth Farr, as Lilith in drag, to do ‘Fiji Baby’, and I think that Goodshirt were somewhat taken aback by that performance,” says Kelly. 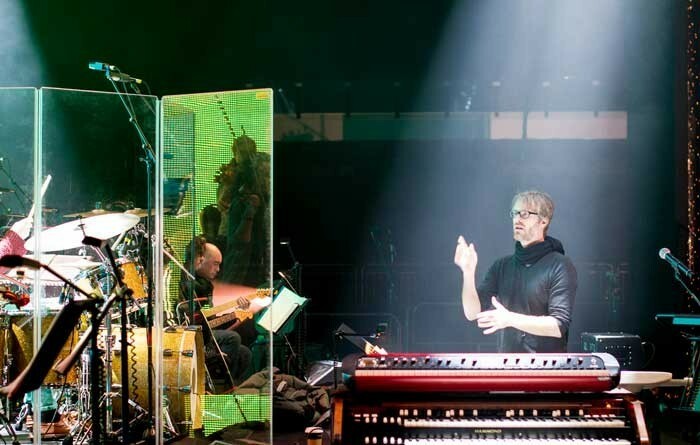 “Bands occasionally find it quite challenging to have their work reinterpreted and it’s particularly interesting when you do it with the Sounz contemporary composers. Often their concept of their work is so very tied to the notes on the page and the instructions that they’ve given for those notes. There’s kind of sacredness to that work and it’s such an unfamiliar thing to have people come and reinterpret it. But the contemporary composers seem to love it. “There’s just no telling which bands are going to love it and respond really positively and which bands are going to feel as if something’s been lost from their work with that process. But you can’t always trust the band to know how people are going to feel about it either. Sometimes an interpretation will sharply divide even the audience. Lukasz Buda (The Phoenix Foundation), the 2014 director, underlined the event’s ability to embrace creative risks at which most others would baulk. He drafted in Wellington improv veteran Jeff Henderson, who recast Michael Norris’s ‘Inner Phases’, the winner of the Sounz Contemporary Award, as a squall of electronic noise, panning left and right across a darkened room. Some in the crowd responded by clapping their hands over their ears, but all the musical directors we talked to were enthusiastic about it as a standout moment. “That was about as alienating on one level as you could get – and it was excellent because of that,” says Steven. All the directors have their favourite interpretations, but the most emphatic about it is Kelly, whose crowning moment came right at the end of her five-year run. “The only band I ever really, really wanted to get to perform was 8 Foot Sativa. Because I love death metal. And I had asked them every year if they wanted to do a song and they declined. And then finally, in the fifth year, they said yes. And so I asked them to do ‘Maybe’ by Opshop. “Once they got the song, they really started to worry about getting up and doing it. And they pulled out. They rang up and said look, we’re really not comfortable about doing this, we feel like you’re taking the piss and we don't want to look like dicks. “I was devastated and I went away and wrote them this enormous three-page letter that basically just poured out my love for them and said the one thing about APRA and our awards is that it’s not about the mainstream, it’s not about what’s popular, it’s about everything and everybody who’s making music, of all shapes, sizes colours and styles – and death metal belongs in there as much as anything else. And you guys are amazing and you’ll do an awesome version of this song and you should get up there and do it. And they changed their minds and did it!